Â This game took me by surprise, it is an incredibly addicting game that is not only fun but simple to play against friends and random people alike. If you have ever watch or played a version of Wheel of Fortune than you pretty much know how to play Wheel of Wealth as it plays exactly like the popular TV show. The really cool thing is that you can play with friends and also just random people that you can be matched up with. This morning I had 6 games going at the same time with random people from all over the world. You can also just request games with specific people keeping in mind that the game allows for 3 people per game just like the TV show. You can take your turn and exit the game – simple as that, once its your turn again the game will not only notify you but if you have pinned it to start it will update you on how many turns you have to take. Wheel of Wealth is completely free and promises an option to play Solo on the next update. The game is extremely fun and I hope to see many more improvements in the future. 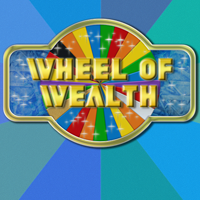 Wheel of Wealth, based on the hit TV Show is a turn based, multi-player game. Play a 3 round game against up to 2 other players. We are open to your feedback and suggestions so feel free to contact us and be sure to rate us on the marketplace. Written by: Hyde13 on November 17, 2011. I was one of the original beta testers of the game and this along with words by post are the only two games I’ve deemed worthy enough to pin to my home screen. The developer is incredibly responsive and genuinely looking for ways to continually improve the game. Give it a try!